Not Your Daughter’s jeans IRR assortment 20pcs. Not Your Daughter’s jeans assortment 20pcs. Not Your Daughter’s Women's jeans IRR assortment. Assorted Denim jeans. The patented “Tummy Tuck” technology makes a women look a full size smaller. 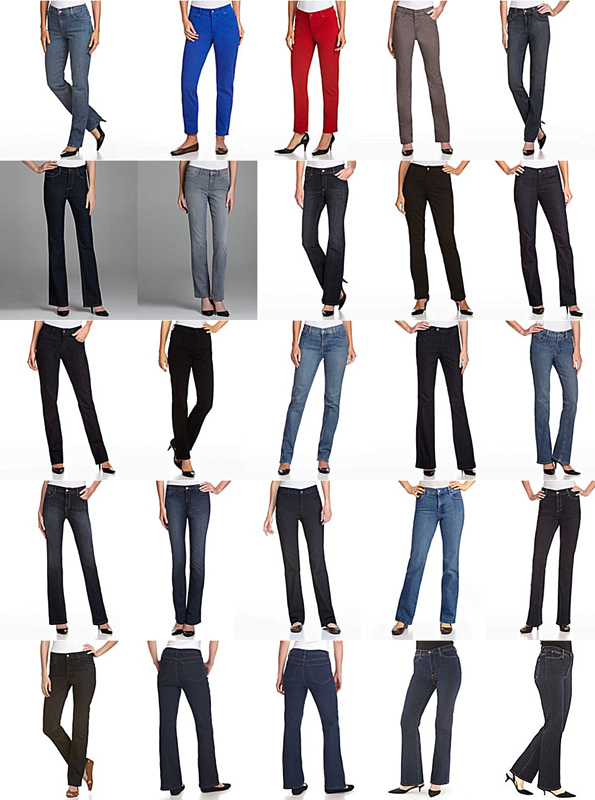 NYDJ is the original slimming jean, designed with a superior fit that makes women look and feel amazing. This stock is classed as IRR (irregular) as it is a closeout and comes without any hang tags to prevent retail store returns. IRR to include: Mill flaws such as pulls in the fabric, skipped needle on bottom hem, pocket reinforcement, shade differences, sewn fabric slub/hole, sent to laundry, stitched hem, fabric pulls, missed threads, repaired belt loops, repaired and or missing buttons, small stains, repaired and or missing rivets. Image is used for display purpose only. Each case pack is different.